1000 Piece Jigsaw. The ever popular Gibsons Limited edition 'Driving Home for Christmas' Jigsaw picture by Marcello Corti. 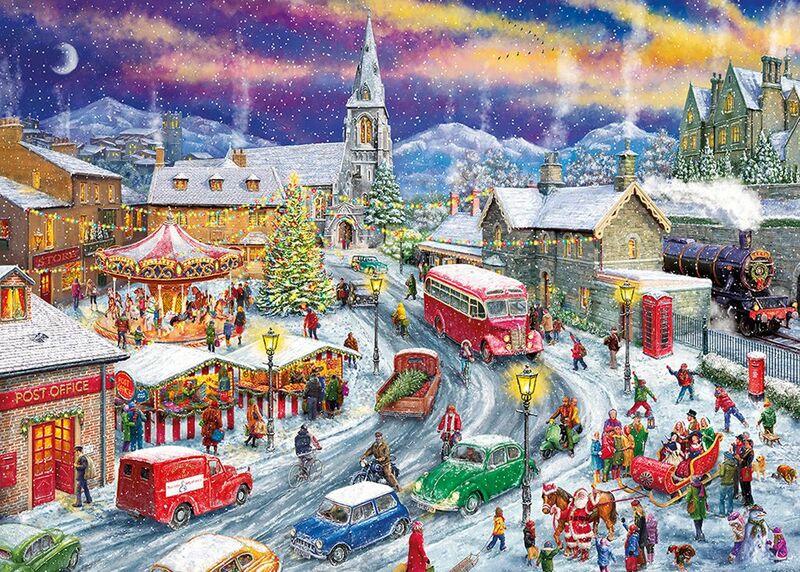 High quality 1000 piece jigsaw puzzle. Puzzle size 48x68cm when complete. Made from thick, durable puzzle board that is 100% recycled. 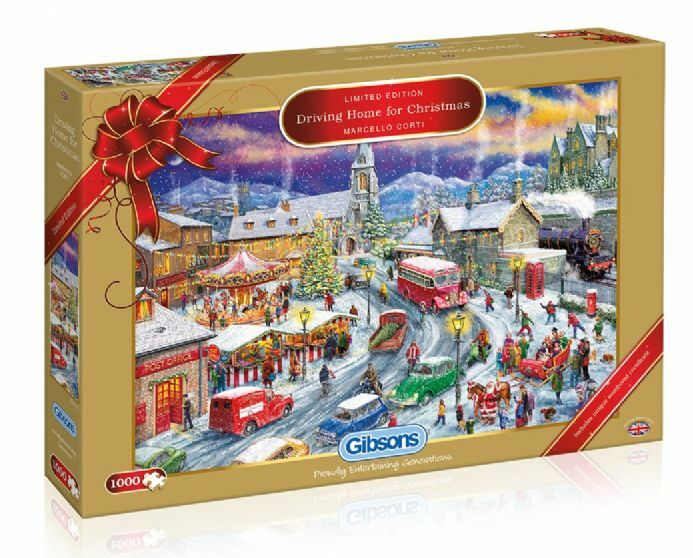 These jigsaws sell out every year so be quick and place your order now !